It’s a Barbie playset that I found at Target Canada for 40% off (all Target stores in Canada are liquidating, and currently all toys are 40% off original retail prices). So between my budget for February and March, this fit in quite nicely with just under $10 left over to spend on something – this will probably roll into April for me though. A photo booth! 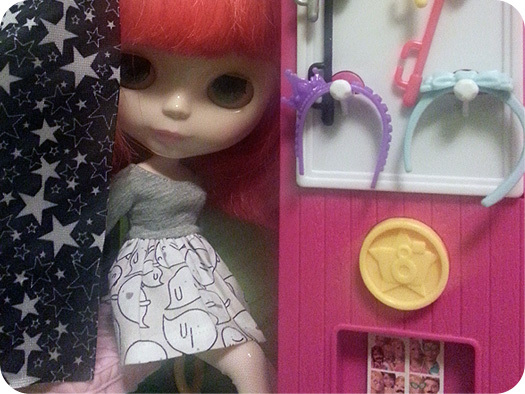 There’s some cute fun props – not all of them work well for Blythe (or Middie… or Petites…). 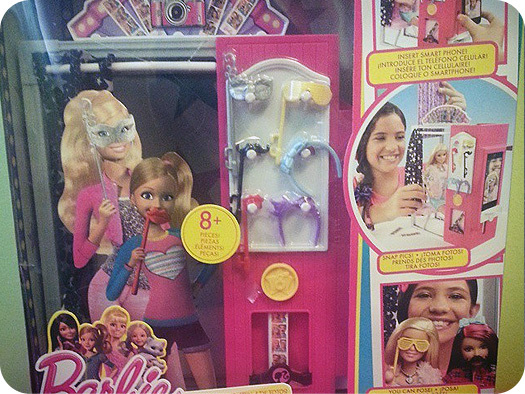 There’s a space for your smart phone (for better photo taking of course), and cute details on the inside where Barbie and her friends take photos. 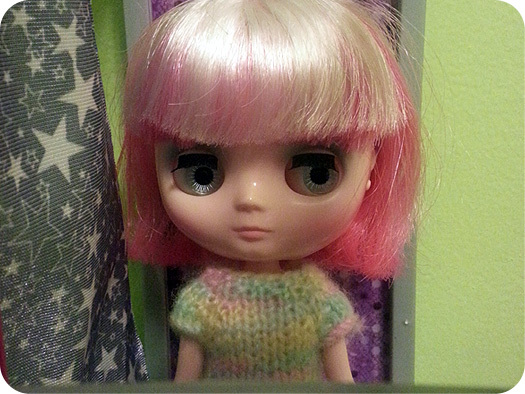 This surprisingly works well for Blythe, mostly because she is the same size as Barbie. I have many plans for modifying this fun little set. My sisters have pointed out that the toy is for children ages 3+, and then I point out that I definitely count in the + category of being over the age of 3. Question of the Week: Would you get a Middie? Question of the Week: Handmade vs. Bought?